While I like my wife’s Garmin Forerunner 10 GPS watch, it’s irritating to me that it is a GPS device which is not capable of displaying GPS coordinates (latitude/longitude). This makes it essentially useless to use as a navigation device. After browsing around the web, I happened upon the Pyle PSWGP405BK. What struck me immediately was that for a list price of $150, it has a GPS, wireless heart rate monitor, digital compass, navigation functions, and is waterproof to 30m. Though there were few reviews of this GPS watch, they were generally favorable, and I was able to purchase a “used – good condition” unit from Amazon.com for $27 after getting a $50 credit for applying for their credit card, and got free 2-day shipping with a trial subscription to Amazon Prime. When I received the unit, I was delighted to find that it was actually a never used, open box item. 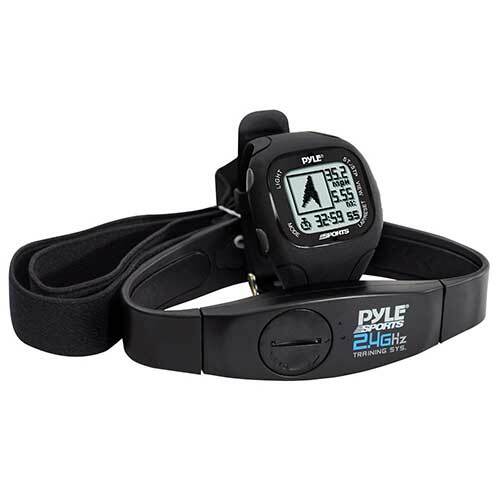 The Pyle PSWGP405BK is essentially the same device as the Runtastic GPS watch, in slightly different packaging. It is also available from several other companies with various names. As far as I can tell, the manufacturer is Latitude Limited, from Hong Kong. It’s called the Nav Master II on their website. Pyle comes with clunky PC software, called GPS Master, which runs only on Windows. Garmin interfaces to their Garmin Connect online service. For me, the clunky PC software and lack of online service is a non-issue, because the included GPS Master software easily exports to various formats, such as GPX, TCX, KML, and even NMEA. 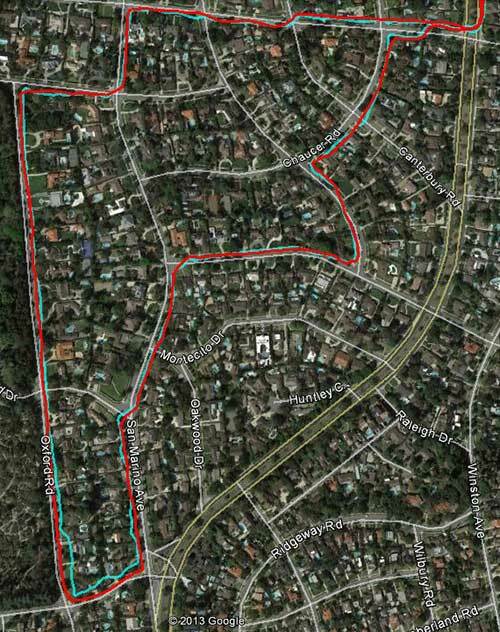 Many of the phone softwares have online services which allow uploading of externally gathered GPS data, so I upload my Pyle tracks to RunKeeper.com. Today, I had a chance to wear both watches and simultaneously track a workout. Notice how the Pyle came up short on its distance calculation: 2.37mi vs Garmin’s 2.43mi, a difference of .06mi. However, the Pyle’s GPS track uploaded to RunKeeper.com comes up .01mi longer than the Garmin track. Though the Pyle’s GPS accuracy is not as good as the Forerunner 10, and there is a glaring bug in its distance calculations, for the $27 I paid, it’s a keeper. I like its extensive customizability and functionality, and I don’t mind the distance calculation bug, because I always upload the tracks to an online site for analysis. Please take my results with a grain of salt for now… I have only used the Pyle for one workout so far. I have not seen any reviews which complain about the inaccuracy of its distance calculations, so maybe today’s track was just an aberration. There are 3 Comments to "Garmin Forerunner 10 vs Pyle PSWGP405BK"
I have implemented https://github.com/mru00/crane_gps_watch which is an alternative for GPS Master. It provides Linux support and proper TCX export. It might help some users. You may want to link to it, as your excellent post (thanks!) is easily found with google. That’s pretty cool, thanks for sharing! I am going to contact you via e-mail. Let me know here if you don’t receive it.